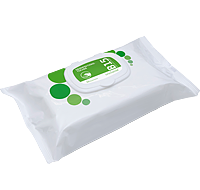 Ready-to-use, alcohol-free wet wipes for fast-acting wipe disinfection and cleaning of surfaces of medical devices and other surfaces. Also suitable for use in the food industry. B 15 is VAH/DGHM and DVG listed. Tested in accordance with EN 13727, EN 13624, EN 14348, EN 14476, EN 14563, EN 1276, EN 1650, EN 13697. Use B 15 safely. Always read the label and product information before use.